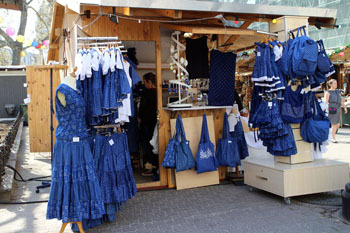 The Budapest Spring Fair organized at around Easter each year follows the tradition and success of the popular Christmas Fair. 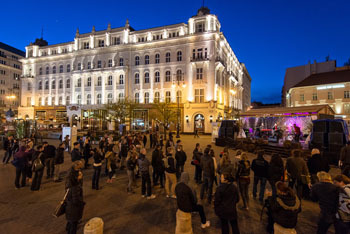 The historic Vörösmarty Square is usually the home to the event but due to its refurbishment the fair moves to nearby venues. 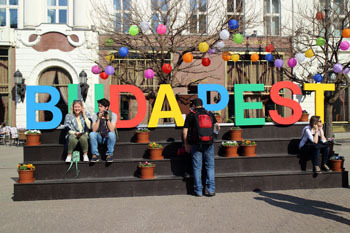 Most of the programs will take place at Vigadó Square and the Danube Promenade (Dunakorzó), easily accessible by tram 2. 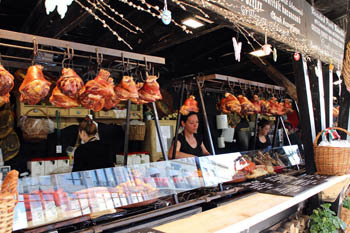 TIP: While strolling among the stalls and nibbling on tasty local food, you can enjoy the magnificent panorama of the Danube and the bridges, Gellért Hill and Buda Castle that are part of the UNESCO’s World Heritage project. 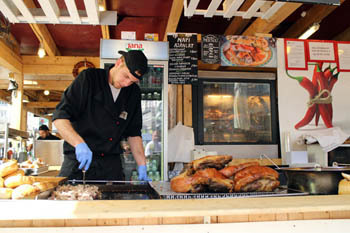 Fővám Square, Deák Square and Városháza Park will host a slightly smaller fair, but with the same top-quality products and gastronomy. 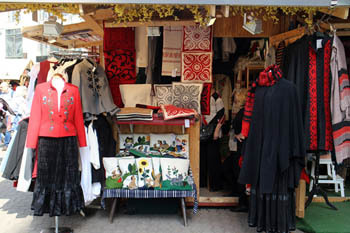 The Main Stage on the Danube Promenade welcomes visitors with concerts, folk dance and music, craft shows. 05 – 28. April, 2019.
sip delightful wines or craft beer (Keserű Méz/Bitter Honey by the Fóti Brewery, or a special brew by the Zirc Abbey) on the wooden benches while basking in the spring sunshine. 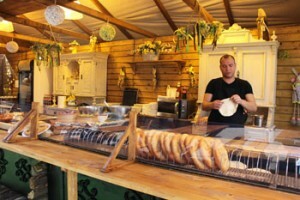 TIP: With a Budapest Card you will get a 5 – 10 % discount at art and craft vendors. The card also lets you use public transportation for free. Many other discounts, free services come with it. 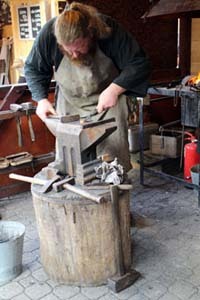 You can watch a real smith during work in his open workshop (it was a well-liked feature of the Christmas fair too). 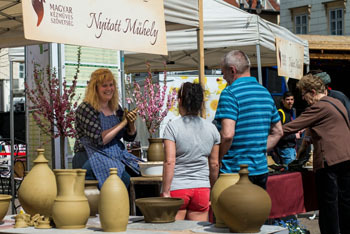 You can view other crafts in action during the “Open Workshop/Nyitott Műhely” events on weekends between 12.00 – 18.00. The festival awaits visitors with diferent gastronomy and folk art/craft theme each week. 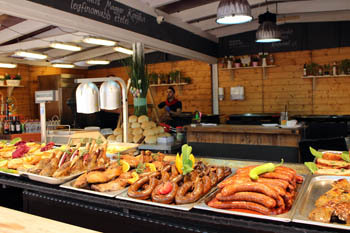 local wines and craft beers and of course pálinka (fruit distilate). making jewelry, musical instruments or cheese. trams 47, 49 -Deák Ferenc tér termini. Children can get to know various folk arts and crafts in the Craft Playhouse. They can also play in the sand box or on the lawn. Concerts, puppet show and theatre performances welcome the little ones on weekend mornings from 10.00 till 13.00. Learn various traditional Easter egg decorating techniques at the craft workshops on the Easter weekend. 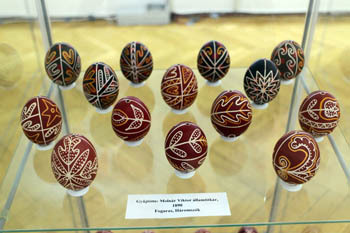 Traditional painting on vaxed eggs – each Hungarian region has its own set of motifs and patterns. here you will find oout about egg decorating motifs of Somogy, Zala, Tolna and Baranya counties as well as Transylvania and Southern Slovakia. Egg shoeing – decorating with various metal shapes. Egg shoeing is practiced only in Hungary and in the neighbouring countries with Hungarian population. Carving – it is one of the oldest techniques used for decorating eggs for Easter. Lace works – texquisite lace designs are carved in the egg using extremely thin lice. The Halasi lace pattern is the most widely used. 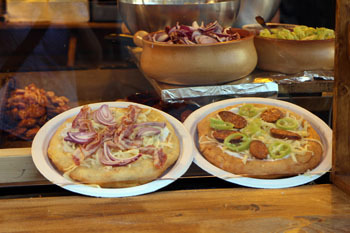 The fair is also real culinary treat to visitors. The cafe of the fair will prepare new food specialties each week. 30. March, Good Friday – Lenten prunes, lenten stuffed cabbage Szabolcs style, csorba soup (piquant soup with vegetables and sour cream). 16 – 22. April – Franz Liszt week – highlighting the favourite foods and drinks of the famous composer. TIP: If you miss any of the fok concerts you can attend a 1,5-hour folk dance show in Danube Palace. Dates in March 2019: 02., 09., 16., 23., 30. 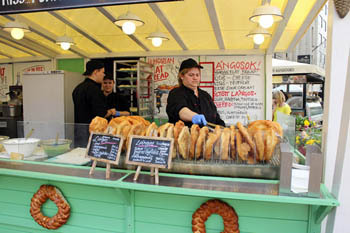 A great selection of food is available at the fair: local dishes, quality street food, traditional Easter dishes, pastries, craft beer, coffee from Arabica beans. 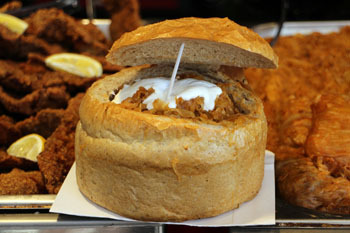 The rooster testicle stew is just as popular as it was at the Christmas fair. 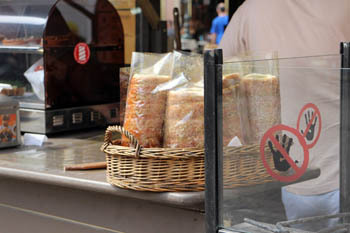 A slice of Gerbeaud pastry (not in the Coffee House under the same name, but at one of the food pavilons) or linzer: 490 HUF. lángos (a round-shape dough deep-fried in oil to a golden color): plain: 700 HUF, with cheese: 800 HUF, with sour cream & cheese: 1 000 HUF. TIP: Browse or list of hotels closest to Vörösmarty Square – all located within walking distance. Official website of the fair. 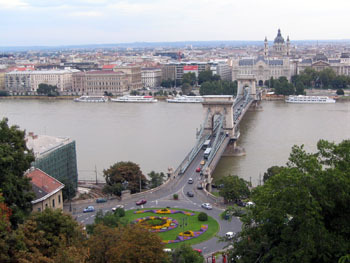 Many of Budapest most popular attractions are located in close vicinity of the square letting you explore them on foot. 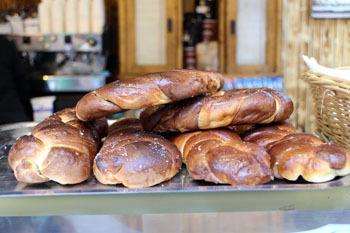 Do drop by the Gerbeaud Coffee House standing on the northern edge of the square for a cup of coffee, traditional Hungarian cake and a classic coffee house atmosphere. You can reach the Danube Promenade, a scenic walkway between the Chain Bridge and Elizabeth Bridge by walking along one of the streets starting at the western side of Vörösmarty tér. Budapest’s largest church, St. Stephen’s Basilica on the sprawling plaza called Szent István tér is just a 10-minute stroll.